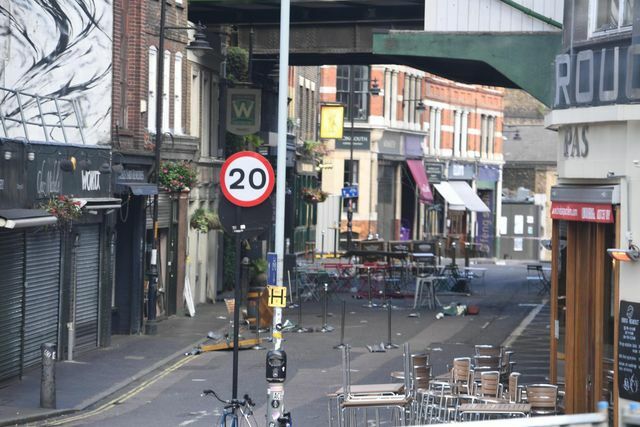 An article in the Evening Standard of 27th June 2017 reports that businesses in Borough Market with terrorism insurance cover are waiting for HM Treasury to issue a certificate classifying the London Bridge attacks on 3rd June 2017 as an "act of terrorism" in order for the Pool Re Scheme to respond to their claims. Most insurance companies operating in the UK commercial property market reinsure for terrorism risk with Pool Re which is a mutual reinsurance company. A landlord and tenant may agree to include terrorism as an insured risk in a lease of commercial premises. Terrorism cover is an extension of standard buildings insurance and in a lease of commercial premises, it is usual for the landlord to be liable to insure the property. An "all risks" policy will include terrorism cover or the landlord of commercial property may pay an additional premium for terrorism cover to be added. The insurer will then commonly reinsure their exposure to terrorism risk with Pool Re. To be covered under the Pool Re Scheme, the cause of the damage must be an "act of terrorism" as defined under the Reinsurance Act 1993 and it is for HM Treasury to issue a certificate with such classification. The definition of an "act of terrorism" is the "acts of persons acting on behalf of, or in connection with, any organisation which carries out activities directed towards the overthrowing or influencing, by force or violence" the government of the United Kingdom or another government. The London Bridge attacks may be seen as having an ideological or religious motivation, but they are generally viewed as terrorism due to the organisation behind the terrorist attacks desiring to influence a government. The definition of the Reinsurance Act 1993 seems limited, however, HM Treasury's guiding principles of interpretation (Definition of Act of Terrorism (13th December 2004)) supports the view that the types of terrorist attack which have taken place in the UK and Europe would be interpreted as being covered. Of course one would hope that there is as little delay as possible in HM Treasury certifying such classification so that insurance payouts can be made to the companies which have sustained damage and business interruption. There can be no doubt that the London Bridge attacks were acts of terrorism by any definition. Traders at the ancient market are estimated to have lost £1.4 million. They include Grovers, a fruit and veg wholesalers who lost £17,000 in stock alone, and Applebeesfish outlet which was damaged in the attacks and lost £40,000 plus stock and wages. Darren Henaghan, the market’s managing director, said traders who were specifically covered for terrorism were still waiting for payments pending the Treasury verdict. An Association of British Insurers spokesman said Terrorist attacks are reinsured through a Government-backed firm called Pool Re which legally needs a terrorist attack to be confirmed.